Sci-fi gone real is a series that focusses on the extravagant concepts dreamt up in the world of sci-fi, exploring just how close they are to becoming a reality. In this piece we discuss ‘new life’. From artificial intelligence to terraforming, mad scientists all over the world are hard at work dissecting and, potentially, changing the very fabric of existence. Cloning is a concept that has been explored so extensively in sci-fi works that it almost seems a reality. But, like with most of the other entries on this list, it looks like truth is becoming stranger than fiction, and has been for longer than you might think. 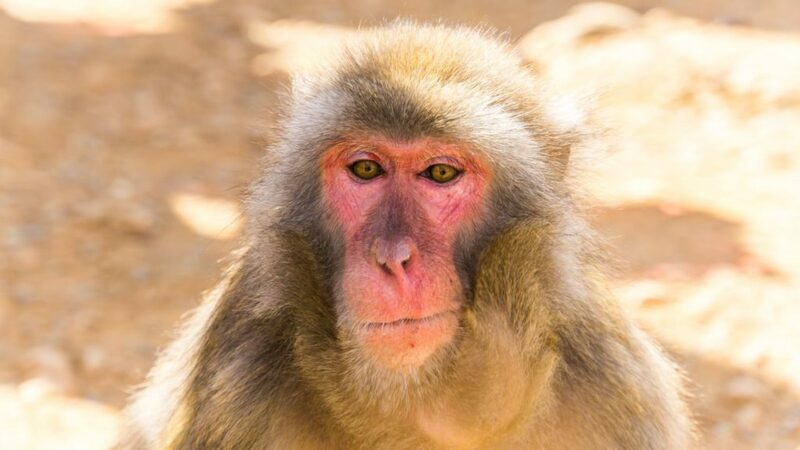 Most recently, in late December 2017, a group of Shanghai-based scientists were the first to successfully clone two female crab-eating macaques monkeys at the Institute of Neuroscience at the Chinese Academy of Sciences. Named Zhong Zhong and Hau Hau, derived from the word “Zhonghau” meaning “Chinese Nation”, the two monkeys were cloned using somatic cells (non-reproductive cells). This process was first used in 1996 in Scotland when scientists managed to clone “Dolly the Sheep”, the world’s first cloned mammal. Although there have been multiple cases of successful cloning since then, 23 to be exact, cloning primates was more challenging due to their complex and varying genetic makeup. Prior to Zhong Zhong and Hau Hau, there had never been a successful primate cloning attempt using the “Dolly” method. Another cloning endeavour, which I covered for Memeburn back in 2016, is the “Revive & Restore” project that aims to resurrect extinct animal species such as the the woolly mammoth, passenger pigeon, and Tasmanian tiger. In one attempt they actually managed to resurrect a Pyrenean ibex but unfortunately the human-brewed clone only managed to survive for ten minutes because of a deformed lung. With recent advances in robotics and biomechatronics, the reality of a cyborg is no longer on the horizon; it’s here, and has been for quite some time. Currently, there are a plethora of companies that offer the cutting edge in advanced prosthetics, not only to rectify physiological impairments but to enhance our human abilities altogether. For amputees and people who were born without certain limbs, these advanced prosthetics provide them with the opportunity to live their lives as most of us do, freeing them from the obstacles and hassles that these impairments cause. In one such case we have actress Angel Giuffria, who was born without a hand and had to live most of her life with various passive prosthetics. That was until Angel received a bionic hand that she is now able to control via brainwaves. She now calls herself a “bionic actress” and also spends her spare time taking part in activities she could never do, such as archery, or cosplay. On the other side of the spectrum, we have fully functional human beings that are looking at biomechatronics as a means of further enhancing the human condition. The Cyborg Foundation is a company that was started by Neil Harbisson, a once-colour blind man that now has a brain antenna implant that not only allows him to see colours normally but also see infrared and ultraviolet light as well. He is also the world’s first man to be officially recognised as a cyborg by a government. When visiting The Cyborg Foundation website, you are immediately met with the words “Design Yourself”, adding that it is “time for trans-species to come out of the closet”. Even if you’re uncomfortable with the principle of personal augmentation, it is still a fascinating and striking website to explore. From 2001: A Space Odyssey’s HAL 9000 to Terminator’s Skynet, we have entertained and explored the notion of artificial intelligence (AI) to quite some extent. But in the last few years, in reality, we have made giant leaps in the realisation of an intelligent artificial consciousness. At this point in time, there are already several operational AIs in existence that are only getting smarter by the day. In August 2017, Elon Musk’s OpenAI artificial intelligence beat the world’s top DOTA players, a video game notorious for its complexity and steep learning curve. In Japan, an eerily life-like android named Erica is set to become the world’s first android TV anchor on a Japanese news channel. According to some who have been in Erica’s company, the android comes across as so real that is seems she could have a soul. There is a Toyota Concept-i car is fitted with an AI, called Yiu, that is able to detect your emotional states and adjust the ride accordingly. For instance, say you were feeling a bit down, Yui might alter the interior light, put on some relaxing music, or even offer to take over the ride in an attempt to lighten the mood. Beyond these latest and greatest AI developments, there are also quite a few AIs a number of us interact with on a daily basis. Siri, Netflix, Amazon… all of these make use of machine-learning to better adapt to natural speech patterns, viewing habits, and buying habits, respectively. Terraforming is the process of altering an uninhabitable planet’s atmosphere so that it is able to support human life. Now considering the extreme complexity and sheer magnitude of such a project, it might not come as a surprise that we are not anywhere near pulling off such an incredible feat. That doesn’t mean that scientists have not yet pondered its plausibility though. Just because we aren’t close, doesn’t mean we aren’t moving closer to realising this pipe dream. Besides the abovementioned issues, one of the major problems with terraforming is that it’s not exactly a copy-and-paste endeavour. Each planet has an enormous amount of variables to consider (circumference, liquid water, soil, atmosphere density, etc. ), with not a single planet sharing even the minutest of details. Very recently, a panel of scientists discussed the possibility of terraforming planets, with the discussion centering on Mars and Elon Musk’s vision of making it a second home for humanity. Mars has long been considered the best candidate for a new human home as it is widely believed by many scientist to have once boasted an atmosphere very similar to Earth’s. In this discussion, they talked about Elon Musk’s idea of “using thermonuclear bombs as artificial suns for making the Red Planet (Mars) inhabitable”. One of the panel’s members, Maggie Goulden, while admitting the plausibility of these nuclear suns, expressed “mixed feelings” towards this idea, also adding that she thinks Venus might be a better alternative for a second home. This idea is backed by renowned astronomer, Carl Sagan, who in 1961 published an article in the journal Science that proposed the “planetary engineering” of Venus. This is because Venus has similar gravity to Earth’s, and the dense atmosphere could “provide part of the huger amount of energy that would be needed to create an Earth 2.0” says Goulden. In Sagan’s scenario, one would use algae to convert water, nitrogen, and carbon dioxide into organic compounds. As the carbon dioxide decreases, it would reduce the greenhouse effect and lower surface temperatures to “comfortable” levels. But once again, there is a big issue. Venus has some pretty nasty sulfuric acid clouds, which would, in layman’s terms, basically turn the organic carbon back into carbon dioxide through combustion. This barely scratches the surface that the problems terraforming will need to overcome. It seems, at the moment, with each possible solution to Terraforming comes a plethora of problems. So don’t buy that one-way ticket to Mars just yet.